Already listed with our Phuket Breast Augmentation clinics directory? 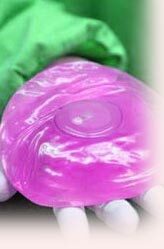 Plastic surgery procedure information on complete breast enlargement and find certified plastic surgeons on Phuket breast enhancement. We provide the other ways to fulfill your requirement. Choose from the listed below for the best result for yourself in Phuket breast enhancement. One of Thailand’s leading providers of cosmetic plastic surgery and treatments with many years of reputation. We also offer an acupuncture treatment, Dr. Sirikul, is a medical doctor who is an anesthesiologist and pain specialist. Jungceylon Plastic Surgery Clinic, a cosmetic surgery clinic and aesthetic treatment center in Phuket which organized by a professional surgeons that makes your dream come true.